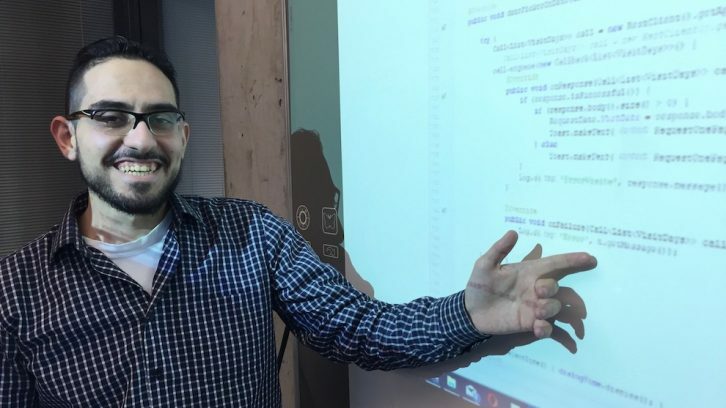 Mohammed Zaher Abd Ulmouli is helping newcomers adapt to living in Canada in the best way he knows: by teaching them to code. 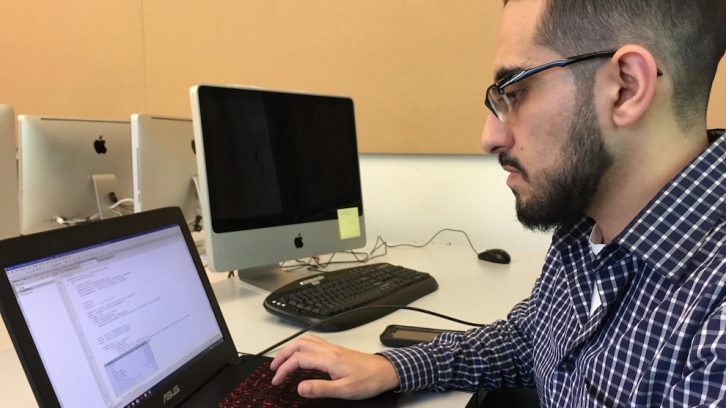 Abd Ulmouli, who is completing a master’s degree in computer science at Dalhousie University, will help teach a series of computer workshops called Maritime Labs starting Nov. 18. This is the third time the workshops have been held. The first series was in summer of 2016 and the second in spring of 2017. Abd Ulmouli came to Canada as a refugee from Syria in May 2016. While in Syria, he says, he completed a degree in Information Engineering, which taught him about computer programming. The workshops, which run every Saturday for five weeks, are targeted toward refugees, although anyone is welcome. Participants can learn basic computer skills and how to code for Android using Java. Teachers from Dalhousie’s College of Continuing Education also help newcomers with their English. Maritime Labs is organized by the Dalhousie Syrian Student Society, in collaboration with Dalhousie Computer Science. It was founded by Abd Ulmouli’s cousin, society president Yaser Alkayale. Abd Ulmouli says taking computer science in university is beneficial for newcomers because it can help them get a job after graduation. He adds that understanding the structure of a programming language can help students see that same structure when they practise English. 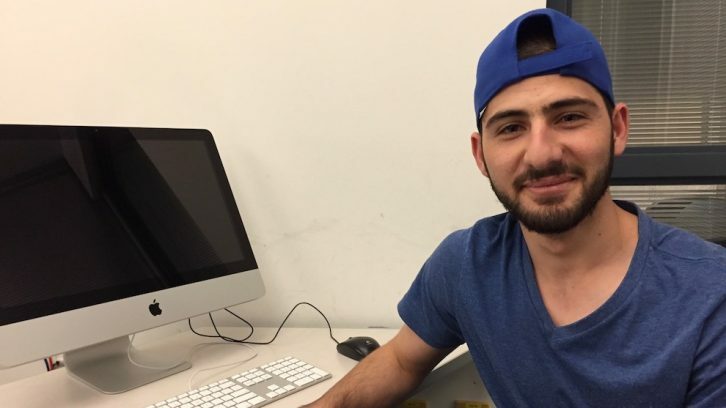 Hassan Alzamel, a first year computer science student at Saint Mary’s University, came to Canada in January 2016. He attended Maritime Labs in the spring and plans to go again this month. Alzamel says the workshops not only introduced him to computer science, but inspired him to take it at school. For him though, the workshops weren’t only about learning to code. Abd Ulmouli says the content of the workshops is always changing based on what the participants are looking to learn. He says that if participants have questions about university or the future, he and his colleagues are happy to help. However, for Abd Ulmouli, the workshops’ impact goes beyond just teaching computer literacy skills. It’s also the relationships that are created. The Maritime Labs 2017 Cohort for newcomers runs every Saturday from Nov. 18 to Dec. 16 in the Goldberg Computer Science Building at Dalhousie University. Do computer science grads get jobs? According to the Government of Canada’s Department of Employment and Social Development, in 2011, 91% of people with bachelor’s degrees in computer science were able to find jobs shortly after graduating. In 2013, 59% of employed graduates had jobs that were “closely related” to computer science. Great story. Well organized and relevant!